You can read every recipe, but to really learn how to cook, you need time in the kitchen. 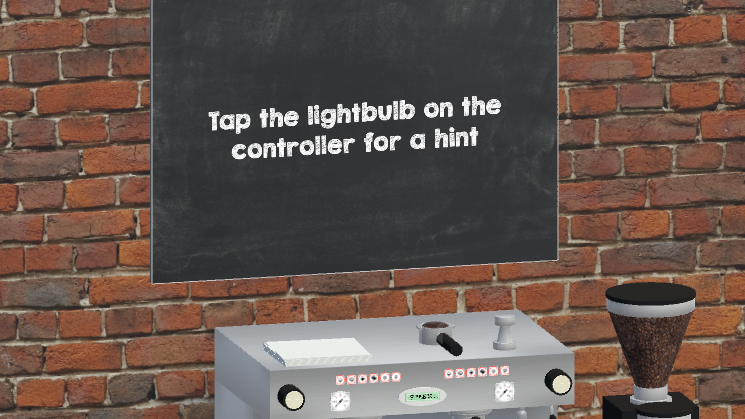 Wouldn’t it be great if you could slip on a VR headset and have a famous chef walk you through the basics step by step? In the future, you might be able to learn how to cook a delicious five-course meal—all in VR. In fact, virtual reality could help people learn all kinds of skills. We were excited to find out that people learned faster and better in VR. 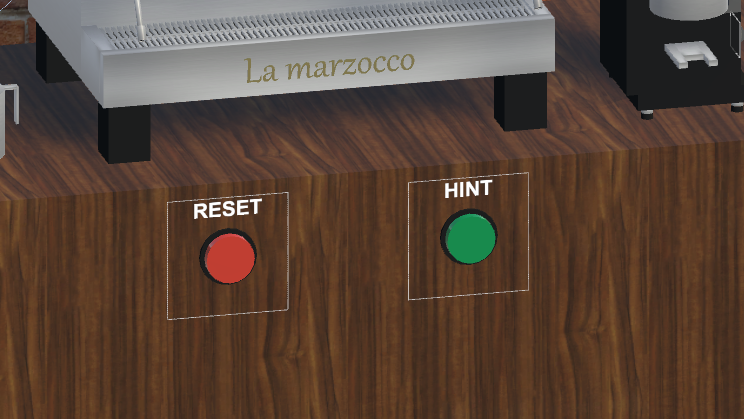 Both the number of mistakes made and the time to complete an espresso were significantly lower for those trained in VR (although, in fairness, our tasting panel wasn’t terribly impressed with the espressos made by either group!) It’s impossible to tell from one experiment, of course, but these early results are promising. We also learned a lot of about how to design future experiments. Here’s a glimpse at some of those insights. First, milk coffee was a bad choice. The physical sensation of tamping simply can’t be replicated with a haptic buzz. And no matter what warning we flashed if someone virtually touched a hot steam nozzle, they frequently got too close to it in the real world, and we needed a chaperone at the ready to grab their hand away. This suggests that VR technology isn’t quite there when it comes to learning some skills. 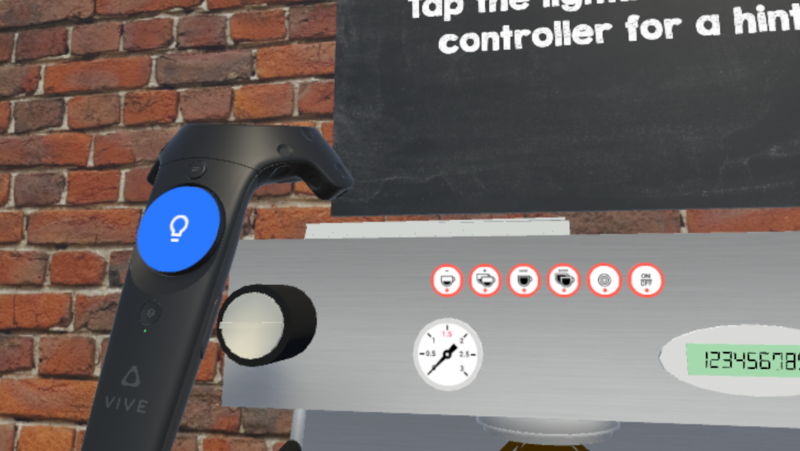 Until gloves with much better tracking and haptics are mainstream, VR training will be limited to inputs like moving things around or pressing buttons. And if the digital analog is too far removed from the thing it’s simulating, it probably won’t help all that much with actually learning the skill. Finally, we discovered that it was too difficult to track all the steps a person took. Every choice we gave a user led to an exponential growth in the number of paths through the tutorial. 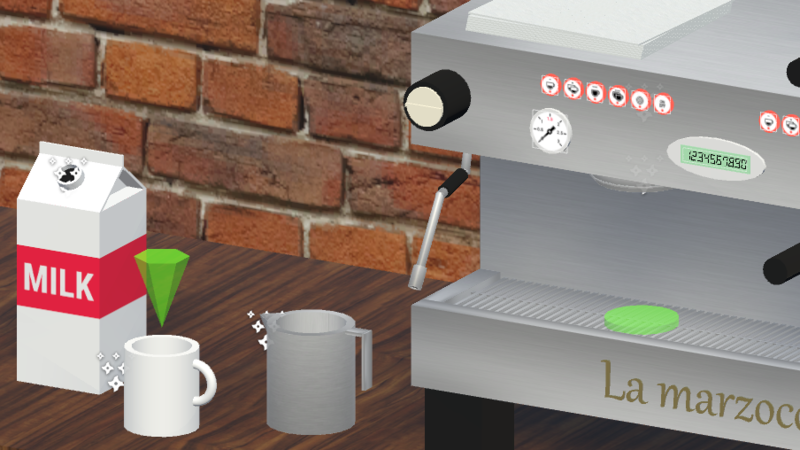 Worse, people didn’t always follow our linear “railroad-style” path, so we had to model all kinds of situations; for example, letting the user steam the milk before grinding the coffee. In the end, it was much easier to model the trainer like a video game, where every object has its own state. So instead of the trainer keeping track of all the steps the user did in order (“user has added milk to cup”, we had it track whether a key step had been achieved (“cup contains milk”).